Part I. Private Practice and Personal Identity. Define Yourself to Define Your Practice. 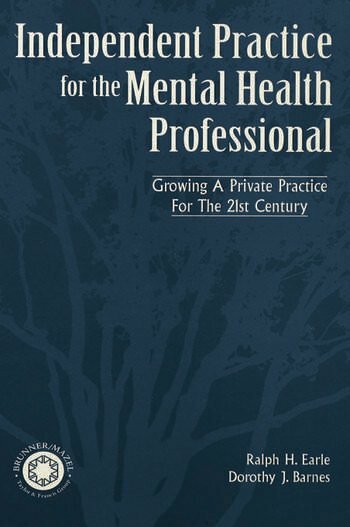 Portraits of Private Practice Mental Health Professionals. Part II. Public Identity. It's a Matter of Marketing. Plurking Through the Network: Taking A Private Practice Public. Mapping your Success: Marketing Plans and Specialties. Institutional Affiliation. Managed Care: Mystery or Mastery. Part III. Professional Identity. Soloist or Symphony: Structuring the Business. From Design to Detail: Office Planning, Policies, and Procedures. Your Practice and the Law: Legal Liability and Protection.